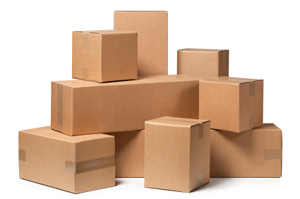 Purdy's offer a variety of packing services, through its off-shoot company Bubble & Box. Bubble & Box is run by Mrs Susan Purdy. Every packing project is organised and overseen by Sue, an expert in protective packaging. Sue and her team will visit you the day before your move, and their task will be to empty and package the entire contents of your wardrobes (all hanging garments will go into wardrobe cartons or onto hanging rails) drawers, cupboards, cabinets, cubby holes etc. and to protect where necessary your crockery/china, glass/crystal, lamps, shades, vases, ornaments, mirrors, framed pictures and paintings etc. If required, Bubble & Box will also pack the entire contents of your shed, garage, loft and also disconnect any stereo or computer equipment, even taking down any heavy mirrors or pictures from the walls. In this instance there will always be a man included on the packing team. This is usually Cris Jordan,who will also take care of any dismantling of wardrobes and beds that may be required. If dismantling is required,we will always re-assemble after the move is completed. Some clients prefer to have just their fragiles packed by Bubble & Box. This service is available at a flat rate fee of £20 per hour per packer. In the event that you find yourself running out of time to complete the packing, please do not hesitate to contact either Graham or Sue Purdy, who will arrange for a packer or two (usually Sue and one other) to pop round and help you to be ready for move day. This is also on offer at a flat rate fee of £20 per hour per packer. If you decide that you would rather take care of the packing yourself, we will still provide all of the packing materials free of charge. This includes unlimited double walled boxes (3 different sizes) bubble wrap, tape, wrapping paper, marker pens and hanging rails/wardrobe cartons. Please remember if you need any advice whatsover, we are only a phone call or e-mail away.